Legacy Weekend - Remembering Our Past. Building Our Future. We’re inviting you to our Legacy Weekend on November 3-4 because we want you to help us make Jesus non-ignorable in our city and around the world. For more than twenty years - gathering in different places, calling ourselves by various names - a people we now call Christ Community Church has set out to follow the real Jesus as he haunts the streets of Athens. Into dark places where he seems invisible and into the cozy confines of the suburbs where he appears unnecessary, Jesus is on the move. The real Jesus cannot be ignored. His love is too stunning. His death is too shocking. When a church can no longer avoid this tsunami of love called grace and discovers there is real life on the other side of death that somehow we begin to live before we die, Jesus simply cannot be ignored. And when this life-on-the-other side of death spills outside of the confines of church and seeps into the life of the city, Jesus will not be ignorable. 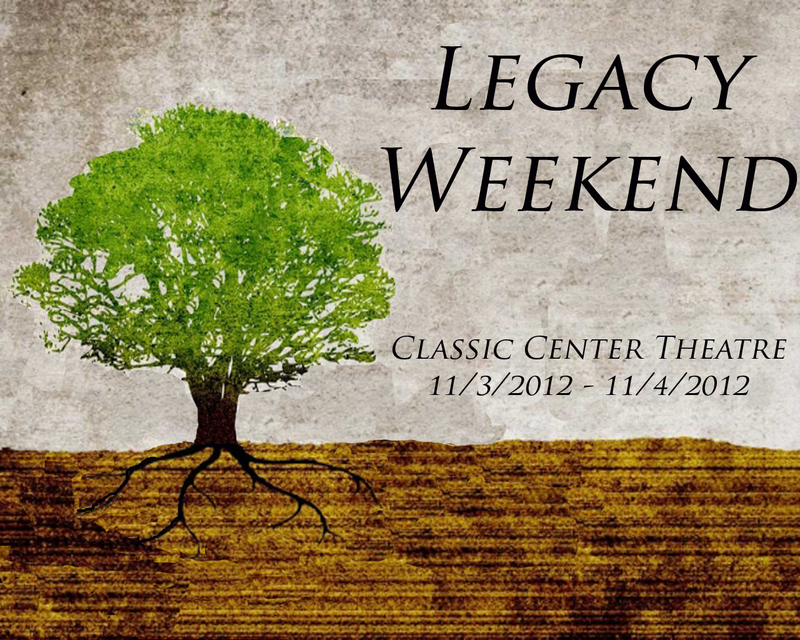 Legacy Weekend is an opportunity to remember our past and to begin building our future. For those of you who used to call Athens home, we’ve kept the lights on for you. And for those of you who are coming because you have family members of friends who are part of our church, we can’t wait to share our story with you. Legacy Weekend. Remembering Our Past. Building Our Future.